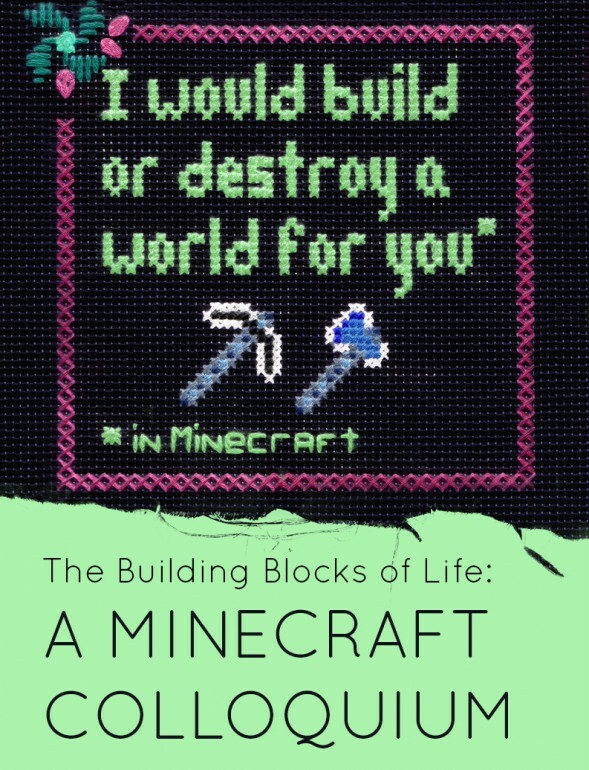 Through my work at the Technoculture, Art and Games Research Center at Concordia University, I am participating in this first-of-its-kind academic conference geared towards researchers studying the video game Minecraft (Mojang, 2009). Because of its open-ended format, multiple play styles, creative possibilities, and even its practical uses in education and architectural planning, Minecraft has attracted a huge and diverse audience. The game has also has proven to be an extremely rich source of scholarly engagement, and its possibilities for research are only in the first stages. This colloquium seeks to bring together ideas for papers, presentations and panels as diverse as the possibilities within Minecraft itself. I have been working on a short documentary about the life of one of the most modded Minecraft servers out there. YOUR PLACE OR MINECRAFT? is a collection of audio interviews with the game researchers who play on this server. Through machinima footage, this hybrid documentary gives us insight to a Minecraft world created by academics, while the interviews allow us to understand the real life dynamics behind many in game events. Research, game or drama? Why are we really playing?